A few weekends ago, I became obsessed with dyeing some plain ivory sock yarn I got last fall. 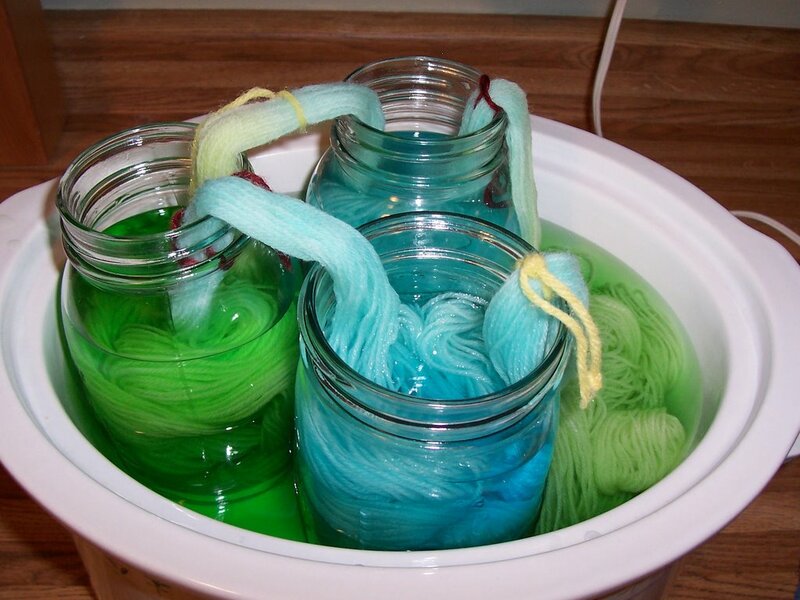 I researched kool-aid dyeing online - here and here. 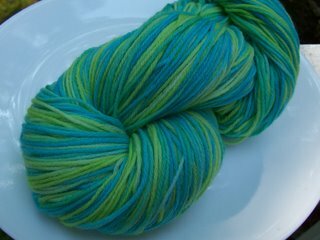 And then I followed a very useful tutorial about making the yarn self-striping. And then I went to work. 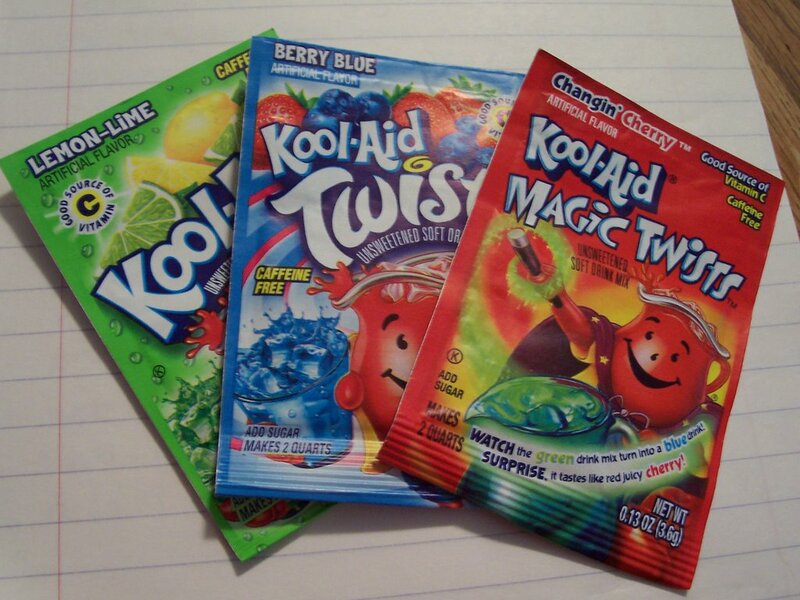 I started with three "shades" of kool-aid: Lemon Lime to make a light, bright green, Berry Blue to make a light blue, and Changin' Cherry for a blue green. I only used one packet of each because I didn't want really bright saturated colors. 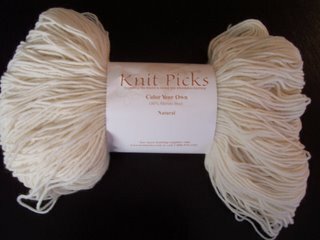 I used Knitpicks Color Your Own Merino Wool. 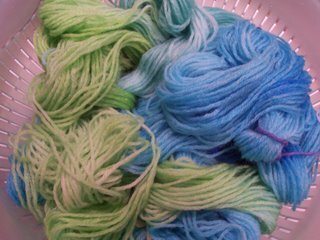 I divided a long loop of yarn (I wound it around two dining chairs about the width of my kitchen apart) into four sections - two small sections to be green, one large section to be blue, and another largish section to be blue green. 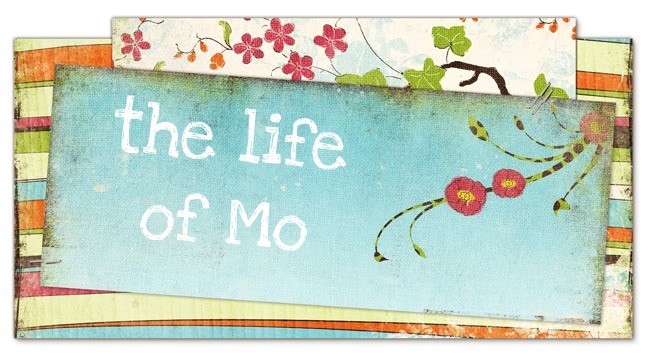 Then I mixed the kool-aid with water in mason jars and popped it all in my crock pot to slowly heat. 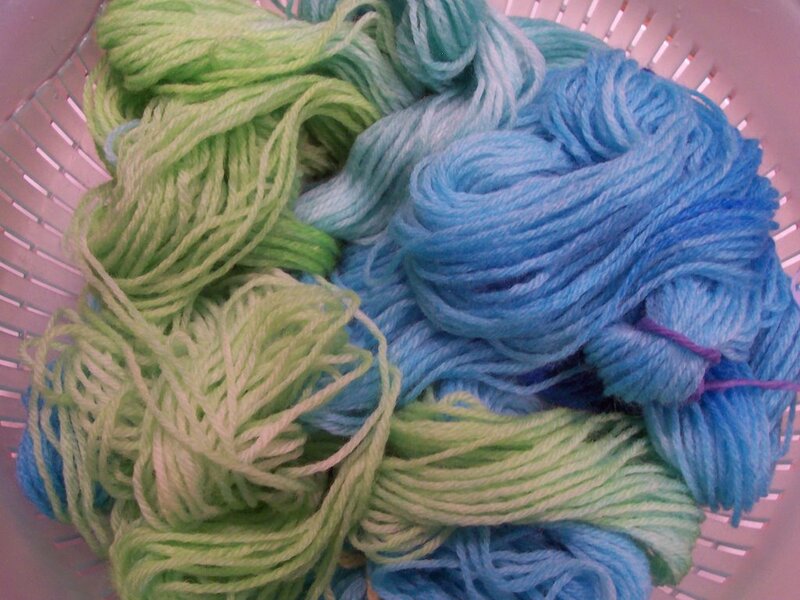 When the dye was absorbed, I rinsed it all in a colander. Looks like bizarre spaghetti, huh? 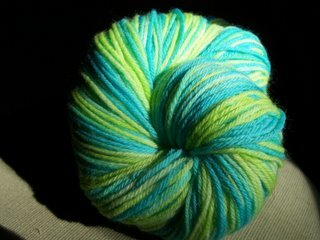 I hung the yarn up to dry, then wound it into a skein. Here's a variety of glamour shots. I'm not sure the lighting in any of the pictures shows the colors totally accurately, but you get the idea. Someday it will be a nice pair of stripy socks. in other koolaid news, i just bought 105 packets of koolaid to make the punch for the wedding, along with 2 ten pound bags of sugar...sounds fun, eh? I can't wait until you're here! The colors are beautiful! Great photos too. 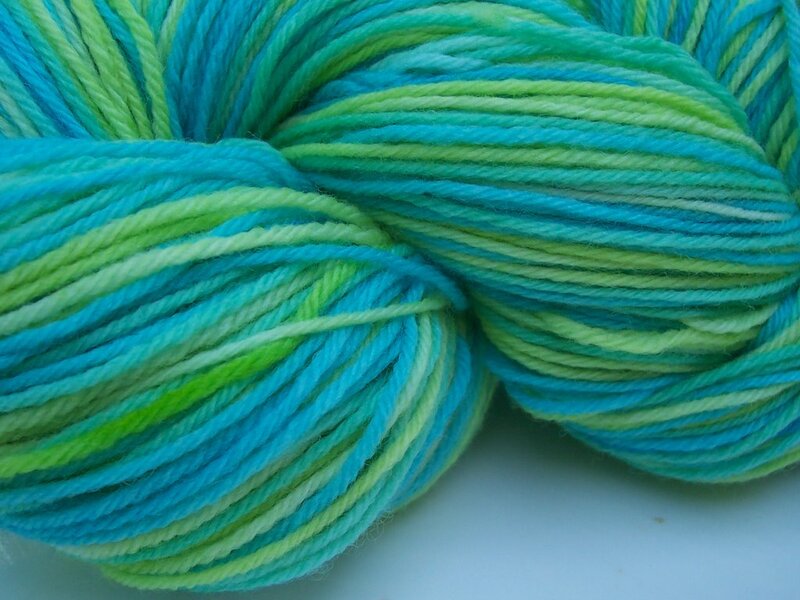 I have some KnitPicks Dye your own too I've been itching to dye up. I like your mason jar/crockpot set up- I think I'll use that. Thanks for sharing!